Bryan C. Heiderscheit, PT, PhD is a Professor in the Departments of Orthopedics & Rehabilitation and Biomedical Engineering at the University of Wisconsin(UW)-Madison. 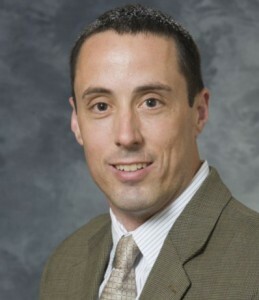 He is the Director of the Runners’ Clinic through the UW Sports Medicine Center; Director of Badger Athletic Performance Research for UW Athletics; and Co-director of the UW Neuromuscular Biomechanics Laboratory. Dr. Heiderscheit’s research is aimed at understanding and enhancing the clinical management of orthopedic conditions, with particular focus on running-related injuries. Support for his research includes the National Institutes of Health, NFL Medical Charities, NBA and GE. He is an Editor for the Journal of Orthopaedic and Sports Physical Therapy and a member of the Executive Committee of the Sports Physical Therapy Section of the American Physical Therapy Association.